My family saw Night at the Museum: Secret of the Tomb in the theater, and we loved it. It’s rare to find a movie that all of us can enjoy together (yes, even the older kids), so this flick is one of our favorites. 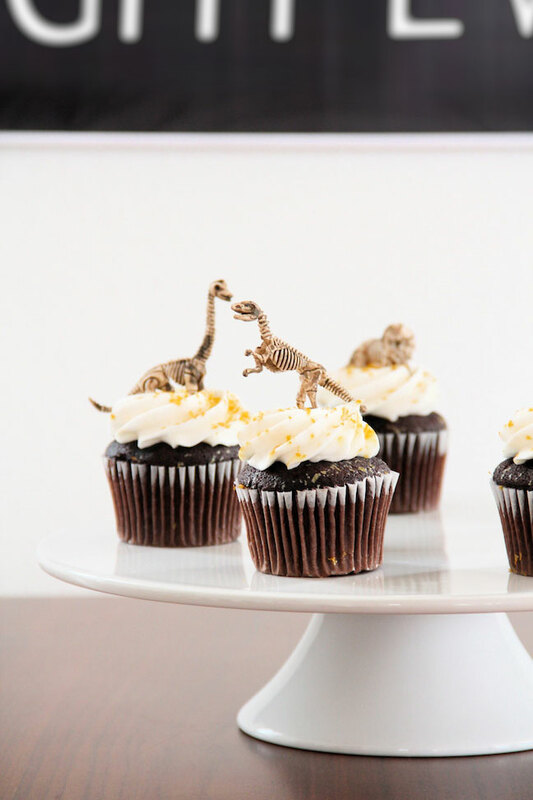 For a little sweet, cupcakes are hard to beat. 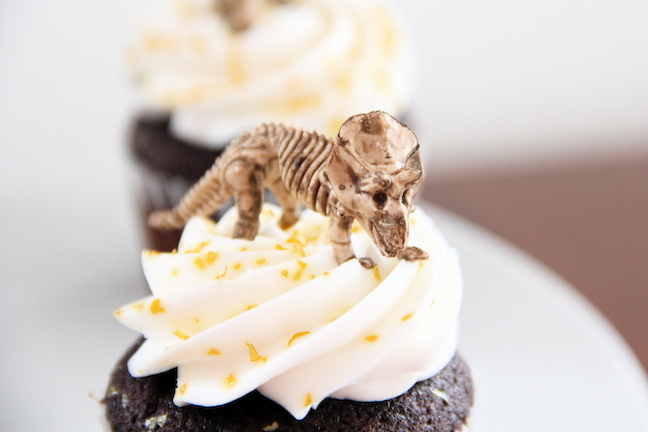 These fun dino skeletons, which make the perfect cupcake toppers, are from my local party store (find similar ones here). 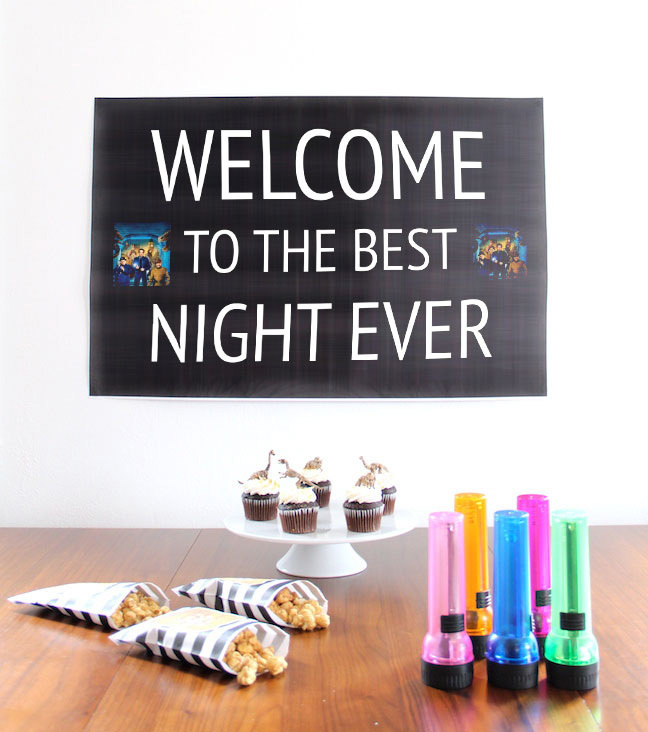 Your guests will love how they look, and you’ll love how easy this movie treat is to pull off. Of course, I couldn’t forget the classic movie snack: popcorn! To make these cute bags, just print this free downloadable (featuring the gold tablet icon from the movie) onto sticker paper, cut out the design, and stick to small bags (available at any party store). 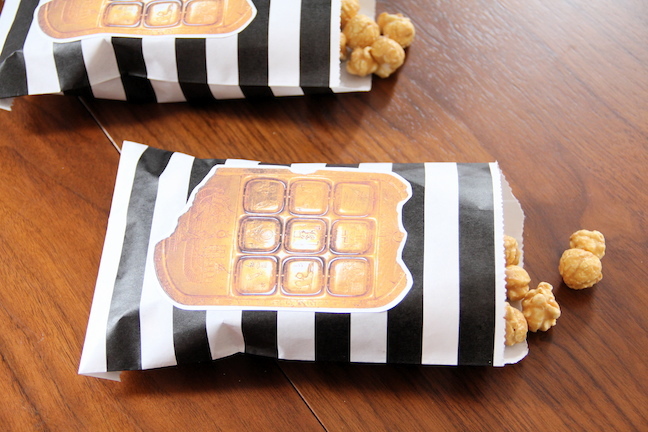 Fill each bag with popcorn, chips, candy — you name it! 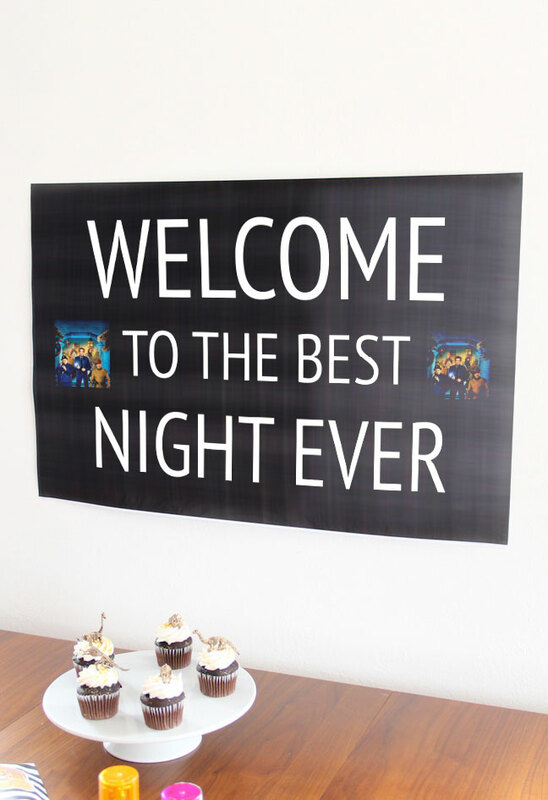 For the decorations, I went super simple but big with a poster (get the free printable). Then, I let the food take center stage, along with some colorful plates and cups. What better party favor for this movie than some flashlights? (And hey, if there’s time after the movie, they can even play a game of flashlight tag.) 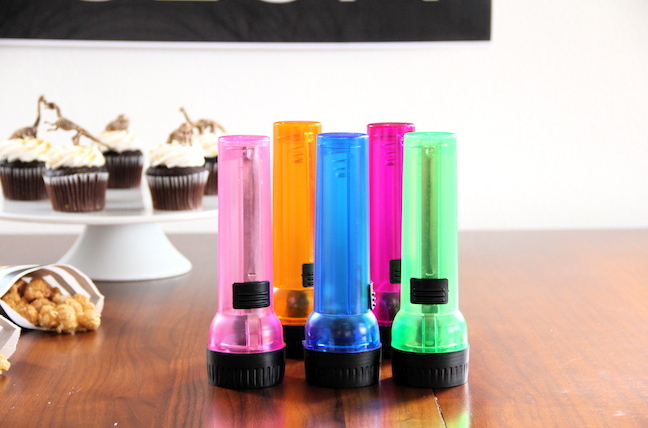 I got these flashlights at the dollar store, so this favor won’t break the bank. Pump up the fun with even more free printables — activity sheets, games, crafts, recipes, and DIYs! Plus, make it a double feature! For a limited time, when you buy Night at the Museum: Secret of the Tomb on Blu-ray, you can get Night at the Museum or Night at the Museum: Battle at the Smithsonian for free on Digital HD! And don’t miss this video of Crystal, the cute capuchin who plays Dexter in the movie.